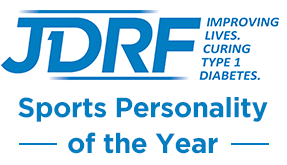 A Day to Remember - Carrying the Olympic Torch for the London 2012 Games a Year on | Life, Sport and Diabetes - An everyday look at my life with type 1 diabetes. On the 25th of May 2012 I carried the Olympic Torch in front of more than 20,000 in my home city of Cardiff, with the aim of representing young people with diabetes on the world stage and making memories that would last a lifetime. The day began quite early as I didn't sleep much the night before. It was like waiting for Santa to come when you're younger except the anticipation of the day made it scary as well as exciting. I wasn't carrying the torch until the end of the day, so I had interviews and run through's to do first. So I made my way down to Cooper's field the would be venue for the concert and torch lighting ceremony. There I met with the main sponsors Coca Cola and 2 other torch bearers that would be running earlier on in the day. First we filmed some TV shots for Coca Cola TV to be shown later, and then it was time for a recky of my route. So then the event organiser took me on a tour of the path I would take later, from the opening of Cardiff castle and back to the stage- a distance of about 300m. It was about 10 o'clock in the morning so not many people were out and about and although the stage seemed huge, I didn't think it was going to be too scary... how wrong I was. The scale of the event started to hit me when we passed Emeli Sande's band on the stage, and spotted Kasabian milling around back stage. The engineer was just attaching the gas to the giant cauldron and I remember joking with him that I'd be his friend forever if he made sure the torch lit first time! So after rehearsals I headed back home for an interview with Real radio. And after that it was time to put on my torchbearers suit. As I was doing that my family arrived and decorated the front and inside of the house with British flags and banners, it was then time to move onto Bute Park. That Friday was one of the hottest days of the year and I remember the park, which was starting fill up by now looked beautiful and people had brought picnic's and were sat out on the grass. Before the big event all of the Cardiff torch bearers were asked to meet in the Holiday Inn hotel. Other carriers included Welsh rugby captain Sam Warbutron and former Olympian jumper Lyn Davies, along with many other deserving torchbearers, each with an inspirational story to tell. After a short briefing from LOCOG we then mounted the torchbearers bus, and made our way to the first stop at the bottom of Newport Rd- a few miles away from the final stop and my leg. So one by one everybody else left the bus, torch in hand to carry their flame and have their moment to shine. Because the weather was so phenomenal it felt like the whole of Cardiff had come out to see us, which meant that every leg there were hundreds of people cheering and waving in anticipation to see who the next torchbearer would be. All too soon we were down to the final two, myself and Capital radio presenter Cam Kelly. And for me this is where the real nerves started to set in. He got off in Riverside and the bus continued with just myself and the Olympic flame chaperon to our final destination. Just as I thought the nerves were going to overwhelm me I spotted the staff from the charity that had nominated me- Diabetes UK standing on the bridge in their bright blue t-shirts waving and cheering. And the nerves disappeared. The bus pulled up to the waiting crowd outside Cardiff castle where people were lined up six people deep. I saw a couple of faces I recognised but many I didn't but that gave me messages of congratulations and good luck. The best way I can describe the feeling is that it was like being at a race, but instead of the crowd supporting different athletes everybody there wanted you to win. In the distance the form of Cam with his torch got closer and closer until we were close enough to high five and perform the 'torch bearers kiss'. (Where the two torches meet and the flame is transferred). My torch was lit and then it was my moment to shine. Out of nowhere 16 police officers flanked my sides and we began our run into the castle, through the crowd making our way up to the stage to the theme music from the film 'Chariots of Fire'. One of the moments that will stay with me forever is when I saw my coach Sean Power and his wife waiting by the barriers to wave to me as I carried the flame past them. Then in front of 20,000 people I climbed the stairs onto the stage to stand in front of the cauldron. The crowd counted me down and I lowered the flame to touch the cauldron. There was a second of silence and a sudden whooosh where the cauldron lit and the crowd went wild! After that it was a whirlwind of interviews and questions, pictures and smiles until I made it home to join my family and friends for a torch-bearing party. After that day- the best of my life so far, I thought all the fun and excitement to do with the torch might of ended there. But little did I know about the events to come. Coca Cola kindly invited myself and 2 of the other torchbearers to go to Hyde park to speak on behalf of the other 8,000 torchbearers before the final torch was carried into the park. Where I got to meet my childhood idol Jonathan Edwards during my interview, along with other stars including Dizzy Rascal, Wretch 32 and Mark Ronson and Katy B before they sang the official Olympic anthem. And after that the incredible journey went on and on as I toured Cardiff taking the torch to schools and local athletics clubs and appreciating the joy and pride that the Games brought to the nation and the joy it brought to me on May 25th 2012.